I like Girl Scout Thin Mints. They taste awesome and you’re helping a Non Profit whose goal is to turn little girls into trained assassins for hire. But wait theres more! While the serving size of 4 cookies remains the same, the Nutrition factoids have changed… And not for the better… If you look closely you’ll see that Saturated Fat has increased by .5 of a Gram. 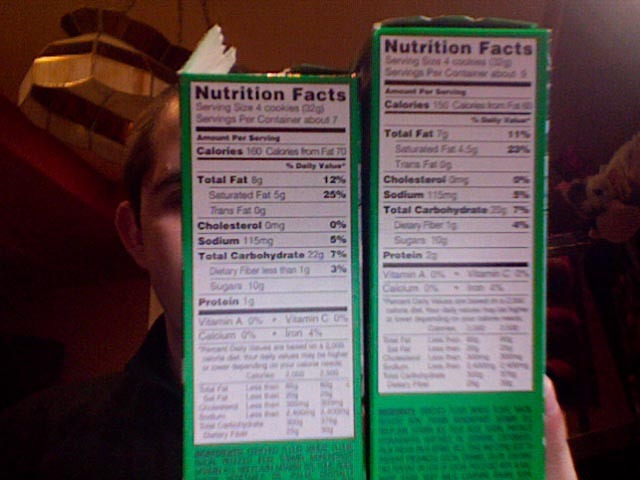 Additionally Total Carbohydrates have increased by Over 2 Grams! I leave you with the other side of the box to mull over. As you can see the Girl scouts no longer tout to promote Strong Friendships or Strong Values. Assassins don’t need those, instead they need financial skills such as goal setting, decision-making, customer-service, and money management. 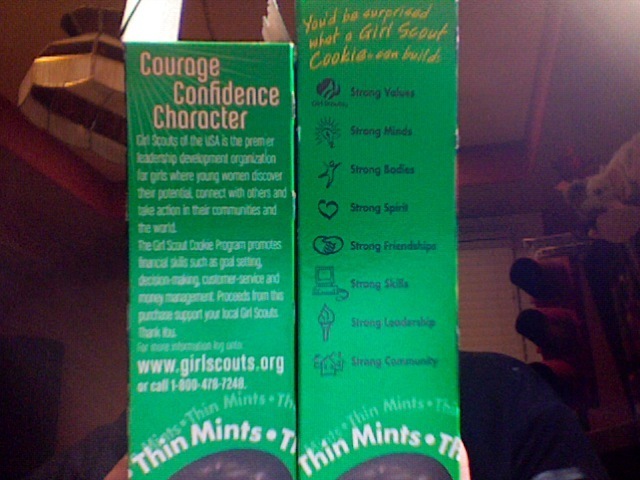 Does this mean that the Girl Scouts are ready to move onto stage 2 of their plan? I can’t talk much longer for I fear they’ve already tracked my location… Already I can hear the whir of a helicopter overhead… Be very afraid America… Be very afraid… The girl scouts are coming for you!